Beautiful, shimmering, diamond encrusted, 9ct white gold earrings. 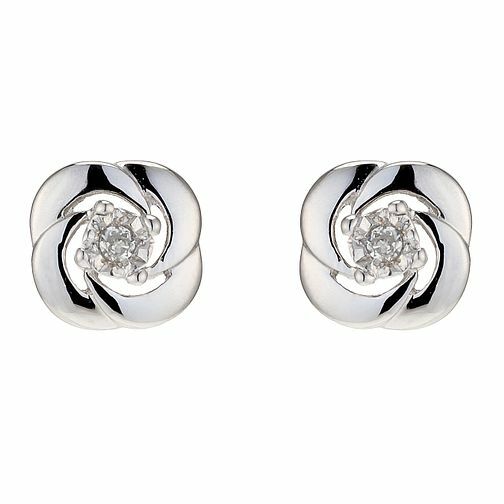 Designed to imitate a gentle flower design, these studs, are a must for summer. 9ct White Gold Diamond Stud Earrings is rated 4.3 out of 5 by 16. Rated 5 out of 5 by Anonymous from Have now had for over 4 years. I had these earrings as a Christmas present and loved them. I’ve worn them nearly every day for over 4 years. Rated 1 out of 5 by Anonymous from Broken twice in 2 months! My partner bought these for Christmas for me and after a few weeks the back of the earring became loose and snapped. After having another pair delivered in only 2 weeks the exact same thing happened again. The back became so loose I had to take the earrings off in fear of losing them. I was told the first time returning I would not be allowed to change again so what can I do? !